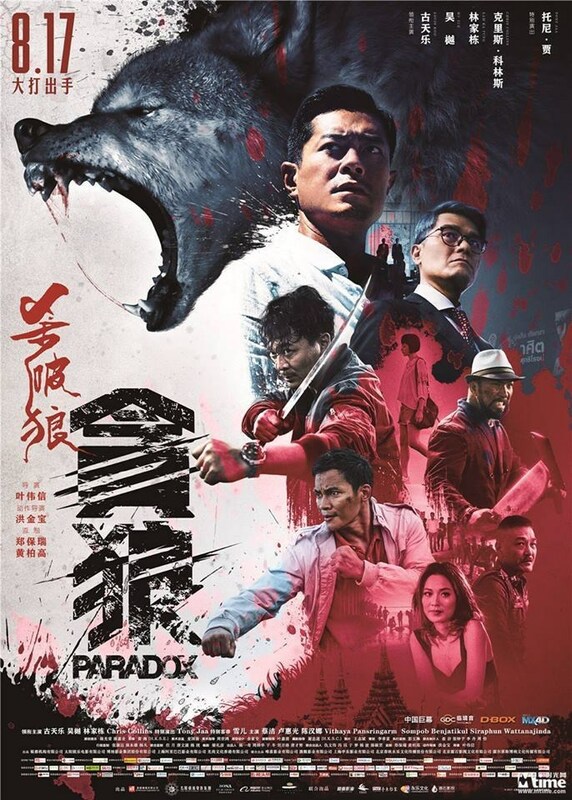 Paradox (2017; aka Sha Po Lang 3), plenty of gritty crime thriller drama, not enough of Tony Jaa’s martial arts. MY CALL: I miss the technical action soundness that Jaa brings to the table, and I missed it in this film, too. 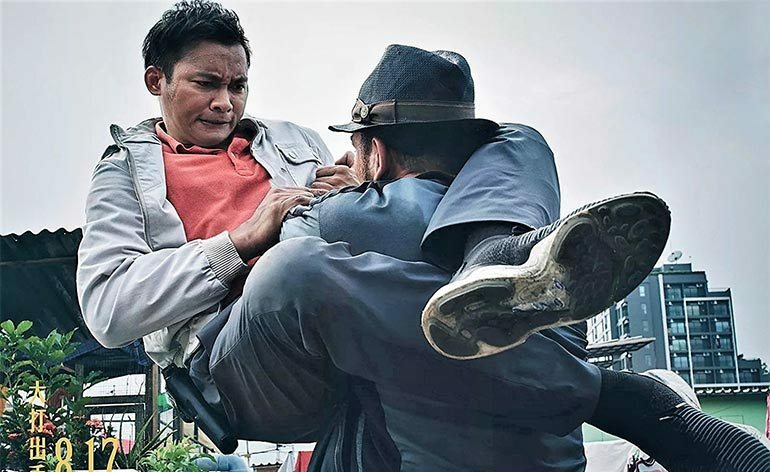 Not enough Tony Jaa—that’s criticism #1. But this film brought solid drama and crime thriller elements to an emotionally fueled journey and there was its strong suit. Not only that, but it was visually striking. Solid film. MOVIES LIKE Kill Zone 2: Well, this is a sequel… so Kill Zone (2005; aka SPL) and Kill Zone 2 (2015; aka SPL 2) along with the far more brutal The Raid: Redemption (2011). Hong Kong cop Lee Chung Chi (Louis Koo; Flashpoint, Kill Zone 2) teams up with Thai detective Chui Kit (Yue Wu; Birth of the Dragon) after his daughter is kidnapped in Thailand for illegal organ trafficking. Director Wilson Yip (Ip Man 1-4, Kill Zone) recruited some familiar SPL actors to new and different roles here in the SPL series. So, while this may be a sequel, there is no actual character continuity. And that’s a shame—as the action here simply does not measure up to SPL 2. Kill Zone 2 (2015; aka SPL 2) was so much more brutal, exciting and interesting than Kill Zone (2005; aka SPL) or Paradox. But this film has its merits. From cityscapes to waterfront views, this film is gorgeously shot! And speaking in terms of emotional character depth, it exceeds its predecessors. Past SPL installments did well with the rage that fuels revenge and the anger that can seep into all aspects of one’s life. This third SPL film continues to capture this, while also including profound senses of protection, desperation and bargaining in our paternal protagonist (Chi). The flashbacks sew flesh over Chi’s vulnerability, guilt and humanity. Both experienced action stars, Koo and Wu have their fair share of stunts. But in a world where I’ve seen SPL 2 and Tony Jaa’s marathoning maelstrom of maneuvers, this yields little impact beyond providing decent pacing to this action movie. However, this is more a gritty crime film than a martial arts film—for the first 40 minutes at least. But once Jaa (Tony Jaa; Ong-Bak, The Protector, Skin Trade, Kill Zone 2, Furious 7) is on the scene, things pick up and they pick up fast for as long as he holds the screen. The action choreography remains gritty and largely realistic in the scope of human-capable Jackie Chan stunt standards. However, there is a steady (but only light to moderate) physics-defiant aspect of wirework and a light seasoning of nigh-supernatural Shaolin monk featdom. No one is doing Crouching Tiger Jedi jumps, but there are more than a few moments that are impossible—even if just by a little bit. Normally, in more realistic martial arts movies, this would bother me (a lot). But it’s uncommon and relies more on practical combat than unrealistic stunts to advance the spin-kicking dialogue (i.e., to decide a victor). There are three major martial arts sequences. The early perp pursuit with Koo and Wu, the second perp pursuit which includes Jaa on the rooftop, and the meat warehouse finale. My greatest criticism of this film is that Jaa was far underutilized. That, and the lack of SPL 2’s immense choreographical prowess, hold this sequel back significantly. As we move into the meat warehouse battle finale the scything cleaver blades of whirling dervishes certainly entertain. Koo and Wu’s characters blitz the bad guys, the fight gets brutal when meat hooks come into play, and there’s barely a millisecond to take a breath between swings, clangs and parries. I may miss the level of technical action that Jaa can bring, but this piece of Asian action cinema brought solid drama and crime thriller elements to an emotionally fueled journey transforming from rescue to revenge as the plot advanced. And, as I mentioned before, this film is visually striking despite having few non-city scenes. Solid film. ← John’s Horror Corner: After Midnight (1989), a decent horror anthology.